Beggars All: Reformation And Apologetics: Circle the wagons! Me: Why is that reasonable? Isn't it the RC position that you have all this unity and the truth on your organisation's side? David Waltz: The Church on Earth has wheat and tares. Me: Christ's parable of wheat and tares refers not to the church but to the world. Matthew Bellisario: Really? Where did you get your definitive interpretation from? ... Where did God tell you that this passage only refers to the world Rhology (sic)? Sources please. Matthew Bellisario: Rhology, once again we can why you are a Protestant. It is because you are truly ignorant of the Scriptures. It is plain to see that you don't understand the many levels of Sacred Scripture. Do you not understand symbolic interpretation? Matthew Bellisario: The fact is, this Scripture can be interpreted symbolically as referring to the Church. Matthew Bellisario: Come on Rhology, yes or no? Can the passage be interpreted symbolically as referring to the Church? Matthew Bellisario: So Rhology, is your interpretation of this passage infallible? There is the one interpretation that you subscribe to, and all others are wrong, correct? Calvin was wrong, St. Augustine was wrong, St. Jerome was wrong, St. Chrysostom was wrong? Their interpretations were not infallible, but yours is, correct? The entire thread that begins with this interaction is a carnival of buffoonery. As if "the field is the world" is not itself a symbolic interpretation! Disappointingly, David Waltz has joined in the cacophony, but didn't even bother to include the Matthew 13 text. I just reproduced some of this to show the circle-the-wagons-at-all-cost mentality of some our RC friends. If they were interested in honestly defending their position from the thrust of my original statement, there are other biblical psgs they could try to use. Their parade of mockery and missing the point shows their motivations are less than above board. Great selective quoting to try and cover your foolishness. You should be ashamed of yourself. …I would like to point out (yet once again) that all but one of the authors of the quotes I have provided (John A. Broadus, David Brown, John Calvin, Jonathan Edwards, R.C. Ryle, and Geerhardus Vos – Augustine being the sole exception) are not RC—as such, the “wagons” that are circling you should be taken a bit more seriously for they represent some substantial minds from within the paradigm you embrace. P.S. I want to make it clear that I do not think that you are an “idiot” (or a “clown”); but, there is a strong possibility that your senses have been dulled by all of the pints (gallons?) of the anti-Catholic ‘brew’ you have been downing…(wink). The citations of Protestant interpreters was noted already. basically, it doesn't make Matthew's interpretation correct, nor does it make the Protestants' interpretation correct. I think circling the wagons is an apt description. I mean, does the Church stand or fall based on the interpretation of this verse? Is it really so hard to say "Yes, if Christ says the field is the world, then it is the world, and not something else..." despite what Calvin et. all say? As I said earlier, this type of trench warfare on the part of the RC apologists makes it look like you are simply not going to give a nanometer--and the chest thumping seems to be inversely proportional to the strength of your arguments. Has the magisterium ruled on this? Seriously. Edward, who said it was my interpretation? Did you even read the original thread? The fact that commentators like Calvin down to Sproul can be cited is irrelevant. The debate among Protestants today over the meaning of "world" and "field" doesn't require an infallible interpreter any more than an infallible interpreter is needed to read Matthew's response. As for the meaning of the text should we look for higher levels of meaning in every other part? Jesus is quite clear. If we are going to argue for "levels of meaning", then might we say The Son of man is something other?, or that the angels are symbolic of something other than those who gather in the elect?, or that the harvest really isn't the end of the age, but instead is symbolic of something else? and on and on? Perhaps when Matthew says "selective quoting" he is symbolically saying Rhology is a mean duck, and when he says "ashamed of yourself" what is really being said is that Rhology remains in his original sin due to his refusal to get dressed in a suit and tie before going to work. So far as this infallible mind sees it (sarcasm), Rhology's argument stands. As far as I know, none of you, Howard included, are scholars of any kind. So far David has cited scholars from both sides, Catholic and Protestant. Most of what David has been saying is, as I understand it, you shouldn't simply dismiss the possibility that your interpretation is wrong. 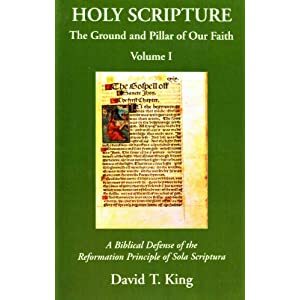 Instead of actually engaging David's argument and the evidence he has brought foward, all I have seen from those purporting the outlier interpretation is repetition of their understanding of Jesus' words and nothing more. "Most of what David has been saying is, as I understand it, you shouldn't simply dismiss the possibility that your interpretation is wrong. Instead of actually engaging David's argument and the evidence he has brought forward, all I have seen from those purporting the outlier interpretation is repetition of their understanding of Jesus' words and nothing more." Why is "the field is the world" so hard to understand? The problem for me, anyway, is twofold. 1) Jesus himself says the field is the world. It is the good seed who are the sons of the kingdom, i.e. the Church. So, any interpretation of the field as the church runs afoul of traditional RC fourfold interpretation--the more mystical/allegorical interpretations should never go against the plain meaning. Yet, that is exactly what Matthew and the cited experts do. I find it disturbing as a Lutheran that someone--anyone--would treat the Lord's words so. I am surprised the RCs here don't feel the same way. I also stick with my claim that the chest-thumping is inversely proportional to the strength of the arguments advanced. Basically, those re-interpreting Jesus' words are appealing to any authority they can find, and by appealing to any authority at hand they betray that they want to re-interpret the words. If the words are assumes to be clear--John 6 was thrown about--supposedly no infallible interpreter is necessary, except when the outcome is unfriendly to one's ideology. 2) Calling those who agree with Jesus' own interpretation of his own parable ignorant etc. seems to border on blasphemy. Saying the parable may be applied in a non-literal way in different circumstances does not change the correct interpretation of the passage in question, either. What will you do when a Rhology says Jesus' words of institution are symbolic? On what basis can you say the words mean what they say if one can simply say "symbolic" about the words of Christ one wants to re-interpret? You will have no basis except an appeal to your authority, which is useless outside of your communion. And such an appeal to authority is a very, very weak argument indeed. Matthew asked who is right, Calvin or Rhology. Rhology replied Jesus. What I found enlightening about this debate is that for the RC side, interpretation comes frst, the actual words come in a distant second. Jesus can say "The field is the world" and the first instinct is to find someone to interpret it for us. I know the RCC does not teach the Scriptures are clear, but apparently, they are so impenetrable a simple reception of a simple interpretation by Jesus is too obscure to accept at face value. What is fascinating is that the Protesters cannot agree with themselves over the interpretation. If its so simple and clear, then why do your Protestant forefathers interpret it as the Church as well? So far none of you have answered that question. David listed quotes from all of these Protesters (John A. Broadus, David Brown, John Calvin, Jonathan Edwards, R.C. Ryle, and Geerhardus Vos ), and most of them were far more versed in Scripture than you guys, yet you have no answers as to why they supposedly didn't agree with any of you. >>The parable of the “wheat and tares” begins with: “the kingdom of heaven is likened unto a man that sowed good seed in his field” [v.24]. As we later learn, the “man” is our Lord, Jesus Christ, the King of this “kingdom of heaven” (i.e. kingdom of God), the same kingdom spoken of in Daniel 2:34, 35, 44, 45, that starts out as a “stone”, and becomes a “mountain” that fills “the whole earth”. We are told “his field” is a mixed “field” containing both wheat and tares; and that this “field” is “the world” (Greek: κόμος) [v.38]. Then we are informed the tares in “his field” (which is called “his Kingdom” in v. 41) are going to be removed by angels at the “end of the world” (Greek: αιŵνός). Calling those who agree with Jesus' own interpretation of his own parable ignorant etc. seems to border on blasphemy. Are you replying to me here??? Secondly, please stop the fallacious reasoning here. We likewise believe to be faithful to Jesus' words and meaning. You saying anything different is nothing more than an emotional fallacy. Interact with the argument David has put foward. To be honest, if he didn't say the field is the world, I would have assumed it is the Church. But he says it is the world. I am not buying your argument as it is just shifting words around to make them fit,and they make Jesus' parable seem very obscure indeed. You are free to do that, of course, but why not just accept that it is the world and leave it at that, and not go ahead and make arguments based on such a convoluted reading as you have offered? To put it bluntly, there is no real theological reason to make world=his field=kingdom=church (which was Matthew's point). Jesus doesn't say the field is his church, he says it is the world, which is different. If it is the church, he could have said so. Alex. Mark my words--you will have no credibility when you try and read a passage literally based on the words used and the grammar of a sentence--whether it is the Scriptures or a writing of the fathers. Call it "fallacious reasoning" if you like, but now you will be reduced to appealing to your Majesterium to interpret anything, largely due to the conduct by you ans Matthew in these discussions. You will be left with an appeal to authority and nothing more. And Matthew is still making the prot Majesterium argument in a forlorn hope of scoring points. Let it go, Matthew, you are starting to look desperate.. It seems like this whole subject was nothing more than a "trap" to try to get people to say they disagree with Scripture. The more fuel you throw on the fire, the bigger it burns. Don't be so easily trapped. Let this one go. You said: "What is fascinating is that the Protesters cannot agree with themselves over the interpretation.... So far none of you have answered that question." I think nobody has answered it, because it's not a big deal, and we allow that reasonable people can disagree on some things. This is not something on which faith turns. What I am wondering about is why you would make an issue of us disagreeing on this point, when Roman Catholics also disagree on it, particularly since you are the ones claiming access to infallible interpretation. Also, in all seriousness, could you explain to me how it is that you can insist on any point of interpretation with regard to something the magisterium has not ruled on? I have understood RC's to be telling me, repeatedly, that we cannot trust our own private interpretations of scripture. Could you clarify RC teaching on this, please? Me: Indeed. Not only is this matter NOT a Catholic/Protestant issue (which I have now mentioned at least three times), but as I have also pointed out, both Catholic and Protestant exegetes are divided. Me: I made it an “issue” because of how my simple response of “The Church on Earth has wheat and tares” was mocked. I don't know about demonized, but certainly mocked and castigated, for ignoring Jesus. It's crazy to watch you guys scramble to defend your honor. Not the greatest display of humility I've ever seen. I for one am done here. If Rhology et al will not even engage the discussion/arguments put foward, and just resort to their undefended position, then this is a waste of time.